Same Ravnica, new set. That means we’re doing Ravnica Allegiance, 600 style. As a refresher, here on The 600, we review every new Legendary creature from a set and predict whether it will become the commander of more or less than 600 EDHREC decks after a year’s time. Therefore, a grade of “over” means I predict it will have over 600 decks, and a grade of “under” means I predict it will have less than 600. That’s all there is to it! Without further ado, let’s get right into our predictions. This one has shades of Gaddock Teeg, which itself only helms 394 decks. However, Lavinia, Azorius Renegade might prove more popular than Teeg. Here’s why. In EDH, almost every deck contains card draw and ramp. In terms of the latter, green is the only color that ramps by adding extra lands to the battlefield (with a few exceptions). Most other colors rely on mana rocks, cost reduction, or cheating mana costs. Even green uses mana dorks, such as Llanowar Elves from time to time. All this works in favor of Lavinia’s first ability, preventing her enemies from accelerating too quickly. Her second ability is also cute. 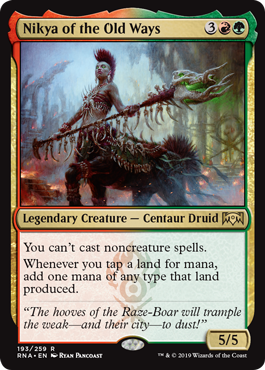 It hoses Omniscience and “Expertise” cards from Aether Revolt. Paired with a Knowledge Pool and a few other baddies, it can stop opponents from casting anything at all. This trick is also seen in Teferi, Mage of Zhalfir decks, though even Teferi only claims 246 total decks. Her one-sided benefits with Dream Halls are nice, though. I tried, but these all feel like niche cases. Lavinia is only a 2/2, after all, which means opponents can pretty much remove her at will. Furthermore, Lavinia is likely too annoying to see significant play. You may laugh, but check out the Hatebear theme. It has only 359 decks at the time of writing this article. To me, that suggests a style players don’t want to play with or against. Sorry, Lavinia. You have a cool name and cool artwork, but I think you’ll be better off elsewhere. Zegana’s back, this time underwater. She’s also cheaper to cast, less mana-intensive, and potentially offers a bonus to your entire team. Is all that enough to get her over the 600 mark? First of all, this card is better than it looks. 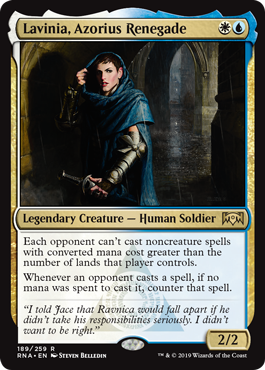 Besides the above observations, the newest Zegana will often draw you a card when it enters the battlefield (assuming you’re building around it, which you are, since it’s your commander). It also gives you something to do with your mana at almost any point in the game, which is a big boost. An 8/8 with trample should dominate most boards. All that said, I’m still not seeing it for Zegana. For quick ascensions to 600, players seem to prefer splashy commanders with unique effects. 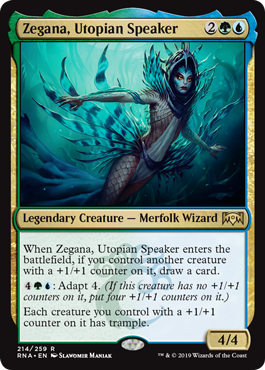 While Zegana, Utopian Speaker offers some novel functionality, she’s ultimately just another Simic +1/+1 counter commander in a field of other commanders who can do that strategy better, like Vorel of the Hull Clade and Pir, Imaginative Rascal + Toothy, Imaginary Friend. This one is promising, not least of all because of its sweet scarf. Steve Tyler must be so jelly right now. That ability can be devastating, especially against opponents holding counterspells and/or board wipes. The last line of rules text is really what’s got me intrigued, though. It doesn’t just trigger when stuff hits the bin from the hand. It’s from anywhere. That open-endedness is an important element of many popular commanders. Still, there’s an outside factor that might keep The Haunt below 600: scarcity. 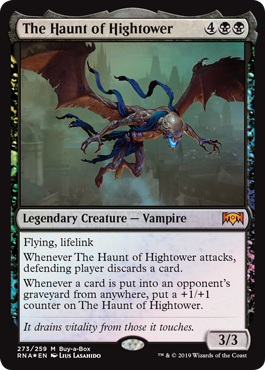 The Haunt of Hightower is this set’s Buy-a-Box promo, meaning it can only be purchased with a booster box. That means they’ll have a limited run, and they won’t be openable in regular booster packs. Sorry, Haunt. Looks like you’re destined for obscurity. If you haven’t heard Todd Anderson doing Judith’s voice, you’re not allowed to play this card. Please watch the video and report back. I’ll wait. Hilarious, right? Okay. Analysis time. This card’s already gotten a lot of buzz, so I see no reason why it won’t achieve 600 status. I mean, it’s basically Blood Artist from the command zone. What more could you want? The previous version of Teysa wasn’t all that exciting. Fortunately, her latest incarnation delivers. 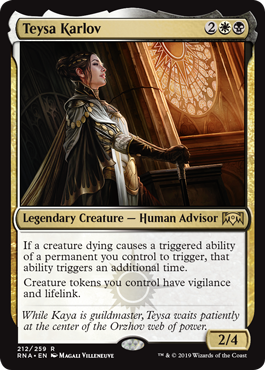 Teysa Karlov is incredibly versatile, which is a common theme among many popular commanders. 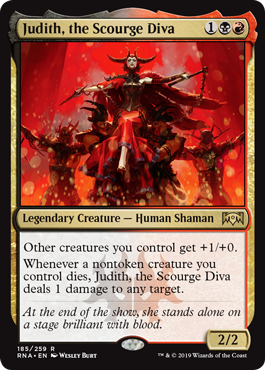 The first line of text supports an aristocrats-style deck (not unlike her pal Judith), while her other ability supports either a swarm or go-big-with-tokens strategy. There’s also the option to do a little of both, or maybe even a token-based lifegain deck. Teysa can go in several directions, all of them good. Furthermore, her first line of text is backwards compatible. The set’s designers could’ve easily restricted it to only Afterlife triggers, but instead they broadened the scope. Thanks, set designers! Now Skullclamp draws four cards, Seraph of the Scales becomes four 1/1 fliers, Dictate of Erebos forces two sacrifices per death, Blood Artist drains for double, and Wurmcoil Engine produces extra tokens. Okay, you might be going a little deep if you’re playing Desolation Twin, but the point still stands. There are tons of tokens to keep your life total high and your shields ever-vigilant. Teysa Karlov looks super fun and absolutely outstanding. In fact, I’m starting a new thing called “Kyle’s Can’t Miss Pick,” where I guarantee a card will go above 600. I’m doing this for two reasons. One, guarantees are always exciting. And two, it’ll be even funnier when I’m wrong. Okay, everyone’s talking about the new Birthing Pod on a stick. However, what we’re all collectively failing to appreciate is the creature type. This is the first Elf Ooze Wizard we’ve ever had. 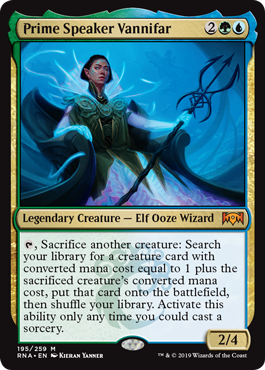 Heck, it’ll probably go down as the only Elf Ooze Wizard we’ve ever had! More seriously, I see big numbers in Prime Speaker Vannifar’s future. This is indeed a new version of Birthing Pod, one of the game’s most powerful cards, albeit one from another format. Make no mistake, though—Birthing Pod is still really powerful in EDH. Having it in your command zone should make it even better. I see Momir Vig, Simic Visionary as Vannifar’s closest comparison. Both are Simic and both serve as toolbox commanders, allowing you to search up the right creature for each situation. Here’s the thing: Momir is 13 years old now and boasts only 702 decks on EDHREC. So can we expect Vannifar to do better? Here’s another thing: Some players report that toolbox commanders sound more fun than they actually play. Though they appear to be “right answer, right time” commanders, some say they tend to play out more as “get the same answer, every time” commanders instead. Will enough players feel that way? If so, will that affect her numbers? No, come on, Kyle, don’t kid yourself. This is Birthing Pod on a stick. What about previous versions of Rakdos? Well, Rakdos, Lord of Riots is the guild’s most popular EDHREC commander (1,469 decks at the time of writing—493 more than the next most popular). Pretty good sign there. 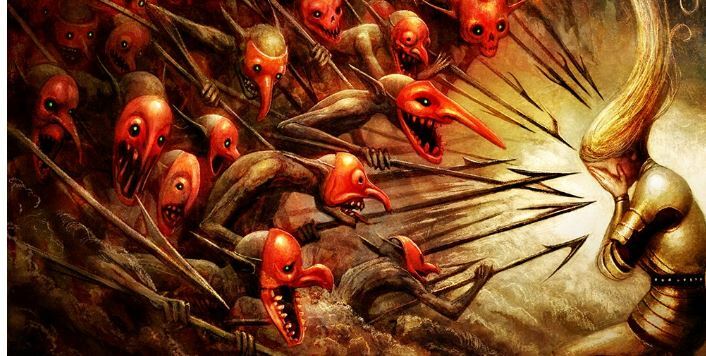 However, Rakdos’s original version, Rakdos the Defiler, only sports 149 decks. So which does this version resemble more? Unfortunately, it’s the latter. 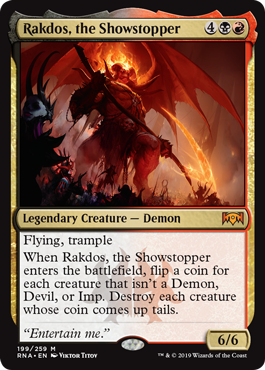 Rakdos the Defiler plays with the Demon subtype, but at a much higher cost and with far less efficiency. But the real point against him? Most players don’t like randomness. Remember when Okaun, Eye of Chaos and Zndrsplt, Eye of Wisdom came out, and people were talking about how coin flipping was finally a legitimate EDH archetype? They’ve only got 179 decks on EDHREC, even after being out for over six months. Players don’t like randomness, so I don’t think they’ll like it much on Rakdos, either. Sorry, big fella. Now here’s a unique one. Nikya of the Old Ways produces an unreal amount of mana, the likes of which I don’t believe we’ve ever seen before from the command zone. It’s also not a symmetrical effect, which is sometimes the case for cards like these. For purposes of comparison, the first ability is most reminiscent to Ruric Thar, the Unbowed (except Nikya is obviously a hard lock on noncreature spells, while Ruric is a soft one). The mana doubling effect feels more Simic to me than Gruul. It’ll probably play out similarly to Kruphix, God of Horizons or Kydele, Chosen of Kruphix. However, unlike those cards, Nikya’s mana isn’t colorless. This opens up some interesting options. Though these spells seem sweet, I believe the first line of text will be a huge deterrent for most players. People want to cast their spells, so anything that reads “you can’t cast spells” is likely going to repel players, no matter the payoff. Just look at Nullhide Ferox. That’s a powerful and splashy new mythic rare, yet it has the same limiting text that Nikya does, and it’s only played in 23 decks. Cool commander, but she’ll look too risky. Do you agree with these predictions? What’s your Can’t Miss Pick? That’s all for this week. Now go play some Ravnica Allegiance!